Gather your Force-sensitive children for an epic Star Wars experience! 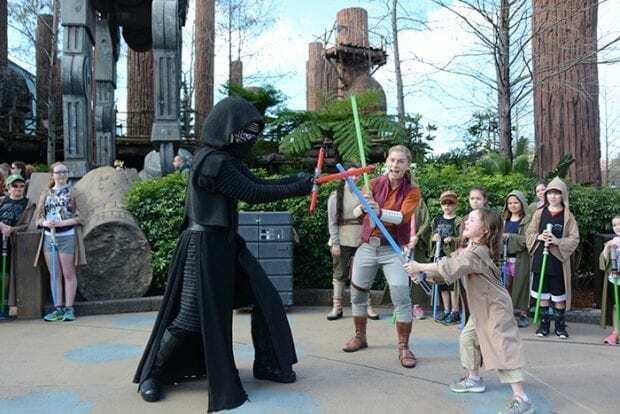 Star Wars Jedi Training at Disney's Hollywood Studios is a popular attraction, and there is a process to get your kids signed up to participate in the show. 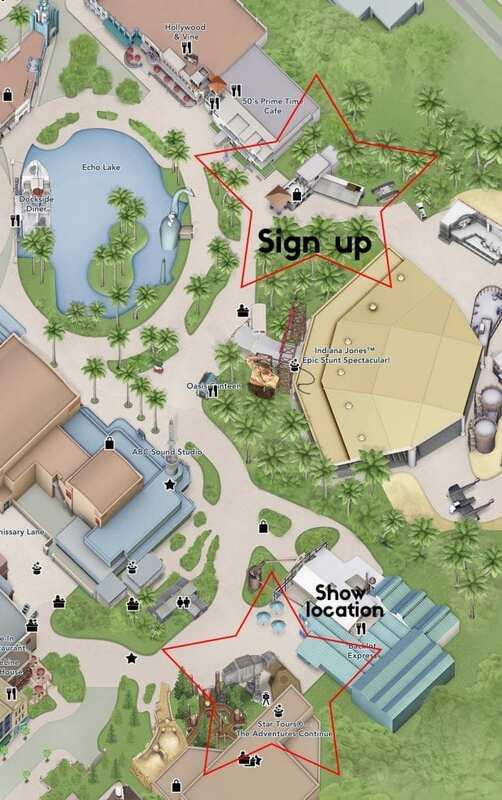 These coveted spots fill up within the first hour of the park opening! This guide will help you secure a place and the best ways to enjoy the show. It is a not to be missed experience for Star Wars fans. Younglings from ages 4-12 can participate in this awesome character show. 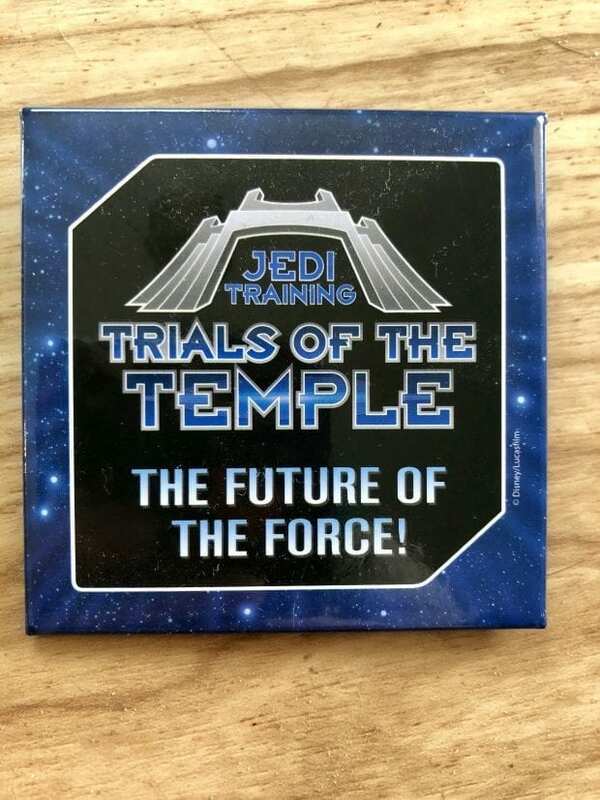 The program used to be called Jedi Training Academy but was renamed Jedi Training: Trials of the Temple. Make a breakfast reservation – The best way to guarantee your younglings a spot in Jedi Training is to make a breakfast reservation between 8 am and park opening of 9 am. This gets you into the park early, and you can sign up for Jedi Training before you check in for your dining reservation. Hollywood & Vine is currently the only restaurant taking breakfast reservations at this time. There is a Disney Junior Character Breakfast buffet, and it was a lot of fun for little ones. You can book dining reservations 180 in advance but if they filled up fast don't panic. I never book that early, and I ALWAYS get a table. Two or three weeks leading up to your trip, start looking each day for a table. This is the time when people are canceling their trips and reservations. My best luck has been the week of the trip. Head to Jedi Training sign ups FIRST – When you arrive at the park for your dining reservation (7:45 am ), there will be a line with cast members checking them in at the gate and letting those with reservations in early. 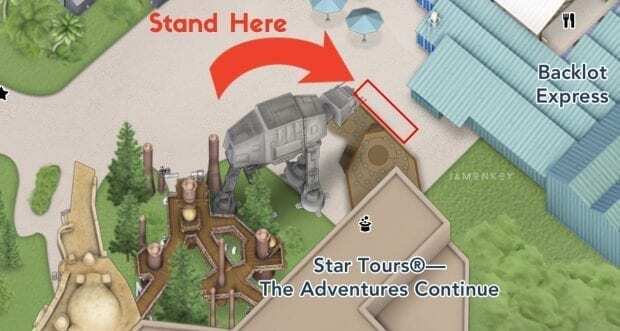 Once you are in the park, go straight to the Jedi Training sign up booth located at the Indiana Jones Adventure Outpost located between the Indiana Jones Epic Stunt Spectacular and the 50's Prime Time Café. There will be signs directing you to the area behind the shop. Make sure you don't head towards the show stage! Don't worry if you didn't snag a breakfast reservation, there is still a chance to snag a spot, but be prepared to wake up early! Get there before rope drop – Rope drop at Disney's Hollywood Studios happens before the park opens. 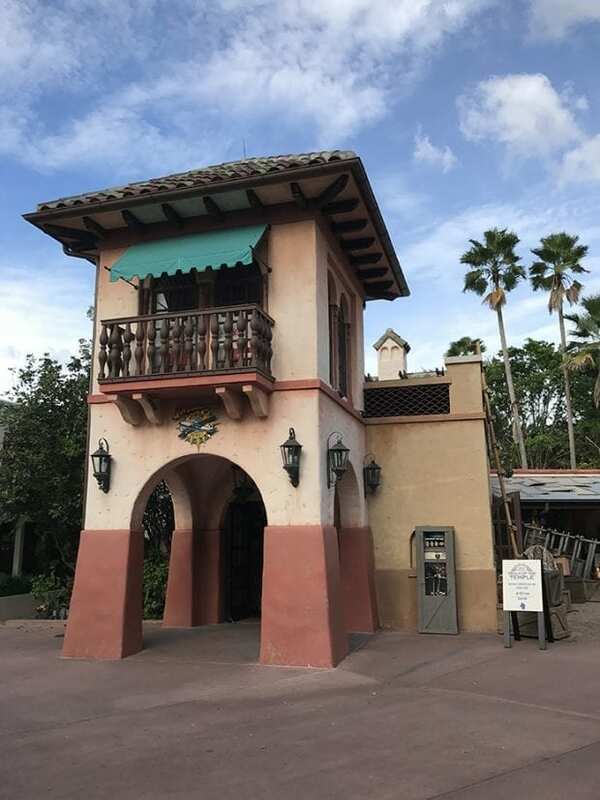 They will allow guests through the turnstiles 30 minutes beforehand. Make your first priority is getting to the sign-up booth. Occasionally they have placed cast members near the front with signs to help guests find it faster. Stay to the left as you travel down Hollywood Boulevard then left towards Echo Lake. When we got out of breakfast at 9 am (park opening) the line was stretched down past the Indiana Stunt Show towards the show location stage! Stay together – It is important that your children stay with you when you go to sign them up. They have to be present to answer some questions to make sure they are willing to participate. I've seen cast members allow parents to sign up without their children there but I would rather you be safe than sorry! Pick a good time – First come, first served. When you arrive for sign-ups, you can select any of the times (that are open) during the day. So you can get there at opening and sign them up for a show in the evening. It's all up to your schedule. We scheduled our whole day around Jedi Training, so we made fast passes for after 10:30 am that day so that we could be the first Jedi Training group at 9:40 am. Report on time – You will need to report to the area near the Indiana Jones Adventure Outpost 30 minutes before the show time. This will be printed on your receipt as well. Send someone ahead – If you have another adult in your party, send them to the stage while the other adult stays with your child. There has to be an adult with the kids from check in until the time they walk into the stage area. Sending someone ahead will help you secure a great spot to take photos or get video. The stage is broken into two areas with big circles that the kids stand on. There is no way to know where the child will be placed on the stage but you want to be in this general area to get a good view of the action. We ended up having a great spot for the main stage, but our kids were at the very end of the lower stage so we couldn't see them very well. Don't lose your receipt – When you report for Jedi Training you will need the print out they gave you. Each child will have their own ticket, and they will need to hold onto it while they prepare for the show. YOU hold the ticket until check in and then the child is in charge of it from that moment forward. Make sure they understand that they need to hold it tight and not lose it. Tallest to shortest – The children will we placed into two groups of 15. They will then be arranged in height order so that when they are on the stage, the shorter students will be placed up front. This makes it better for photographers to get great shots of all the kids. Don't force your child to participate – There are always a handful of kids that get nervous when they arrive to participate in the show. My youngest was almost one of them. The children have to go up on stage by themselves (no parents) and face members of the Dark Side, that takes some guts! If your child is scared, please don't force them to go. I know that it takes a lot of planning to get them signed up, but it does happen. I saw kids in full panic attacks because their parents were trying to force them to join. If you think your kids may get scared, have them watch the video in this post so that they can see everything that happens during the show so that they are prepared and pumped to do Jedi Training themselves! Make sure you have a Disney PhotoPass – If you didn't get a fantastic spot to take pictures, have no fear. There are two PhotoPass photographers taking LOTS of pictures of both groups. 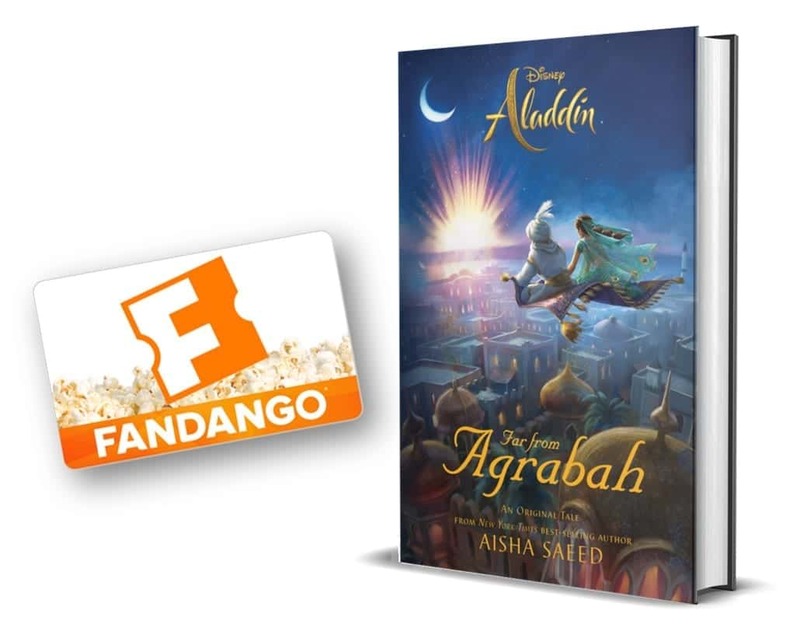 Make sure to get the PhotoPass card that they hand out to all of the parents at the beginning of the show. Dark Side Characters – The show is always evolving with new movies being released and sometimes that means the Dark Side characters that the Younglings fight will be too. Some of the characters they will face are Darth Vader and Kylo Ren. 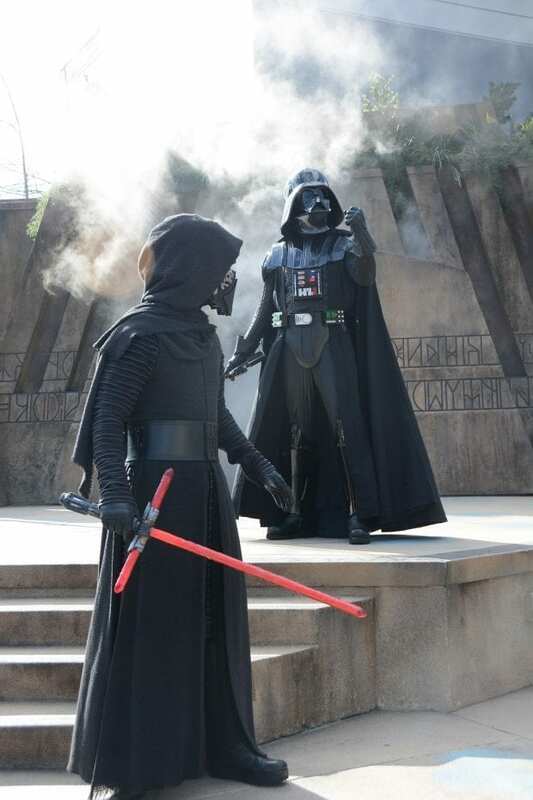 In previous shows, Darth Maul and the Seventh Sister Inquisitor were the challengers with Darth Vader, but they were replaced by Kylo Ren recently. On the ticket it said that Dark Side characters are subject to change, so you never know, maybe you'll get a surprise Sith Lord! 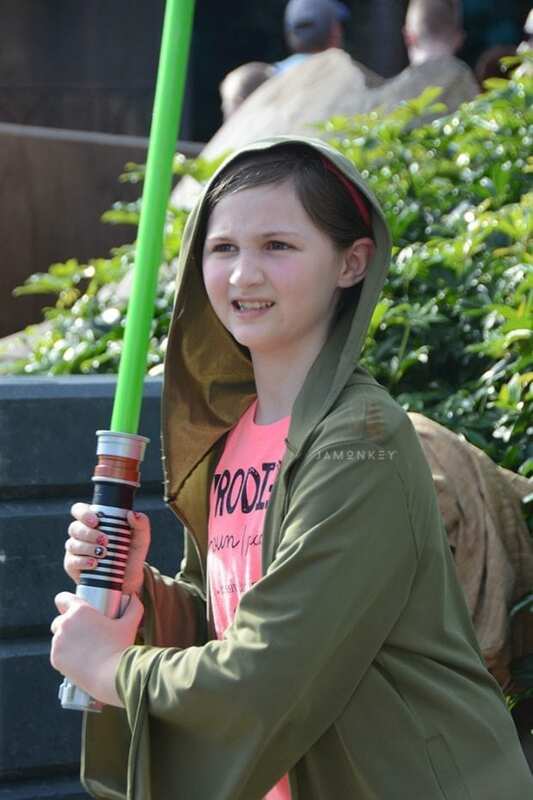 Dress the part – While each of the children is given a Jedi robe to wear during the show, I noticed something about all of the kids that were participating. They were all wearing Star Wars gear. T-shirts, hats, and even sunglasses. It was pretty awesome. 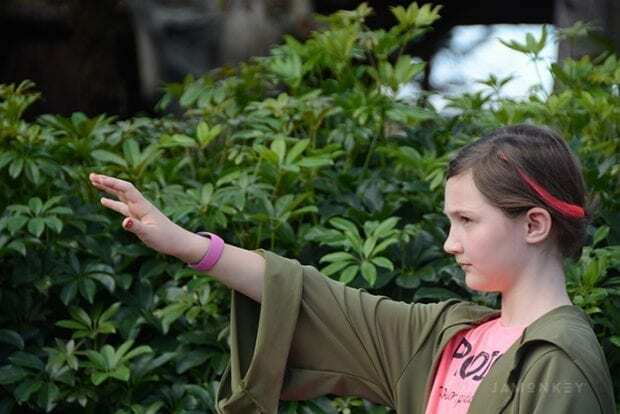 Earn your badge – After the Trails of the Temple have completed each of the children are given a button for mastering the Force! Have fun – We have been trying to do Jedi Training for a few years now, and I'm telling you, as a mega Star Wars fan, it is worth the effort. The kids had an absolute blast and are still talking about it.